Town Hall – Shared Space! 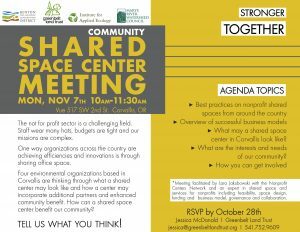 Join MRWC and other local partners as we explore the concept of a shared space. Tell us what you think, or attend to listen and learn more. All are welcome! RSVP online here by October 28th. What: conversation, Q&A about shared space – plus morning refreshments! Section: Town Hall – Shared Space!